note: I started writing this months ago when I did the installation and now I am finishing up by looking at the installed distro. 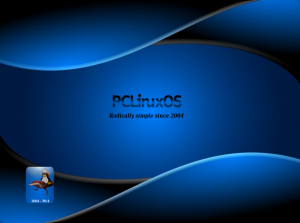 PCLinuxOS started as an extra set of packages for Mandriva. Interesting because Mandriva originally started as a KDE version of Red Hat. Eventually, it became its own distro. It became very, very popular around the same time as Ubuntu – give or take a few months. There was a time where you couldn’t read a Linux review without someone in the comments suggesting you should check out PC Linux OS. (Kinda like what I see happening with ArchLinux nowadays) The distro built up lots of steam and in 2007 seemed as though it could potentially steal Ubuntu’s thunder. Then it suddenly dissapeared from mention. There wasn’t a full-fledged 2008 release. According to its wikipedia page, PCLinuxOS has twice forked from Mandriva. So, while it was based on Mandriva at that point in time, it has since diverged into its own distinct distro. This is a very interesting distinction because this month I am also reviewing Mandriva 2009.1 and I had to postpone that review because it wouldn’t load up. PCLinuxOS, on the other hand, did load up. First up I had to choose my keyboard type. Then it was time to login to the liveCD. Interstingly they have a similar login screen to SimplyMepis 8.0. Then I arrive at the desktop. It has some pretty good applications on the taskbar: home folder, control center, configuration, and Firefox. Everything you might want at your fingertips. 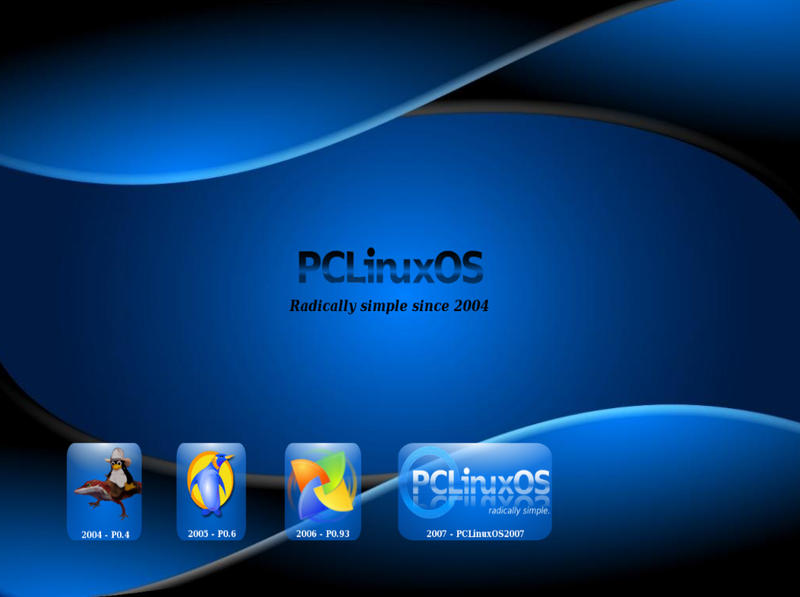 It also has four desktops by default – a lot of Linux distros nowadays only have two by default. The default desktop looks a little ugly to me. I can’t pinpoint what it is, but it just doesn’t look slick. I think it’s mostly the background image – but that can be changed by the user and most do change it. It’s just a very minor niggle, but a lot of distros have been paying attention to first impressions recently and, therefore, it just requires a bit more work. The desktop environment is KDE 3.5. According to the issue of Linux Format Magazine that carried this distro, KDE 3.5 was chosen because Texstar and the other PCLOS devs didn’t think that KDE 4.x was ready yet. So if you’re one of those people who don’t want to move to KDE 4 yet, here’s another distro that you can use. Overall, the menu was very well structured. There were a couple of oddities, but I guess it’s because the menus are in place for when you install more programs. One example is that OpenOffice.org Draw is under PC -> Office -> Drawing -> OpenOffice.org Draw. Usually, all of OpenOffice.org is under the “Office” category and it seems weird to have the “Drawing” category all to itself. But, I guess if KOffice were installed Krita would be in there. Then it’s not so odd. Also, the “more applications” category seems to be unnecessary. The current menu is only five categories long, so there’s no reason to add yet another layer between the user and games. Here’s an example: PC -> More Applications -> Games -> Arcade -> Ktron. The user just had to go an extra step without reason. For the most part, all of the applications on hand are KDE applications except Firefox and OpenOffice.org. Let’s go ahead and try installing PCLOS 2009. 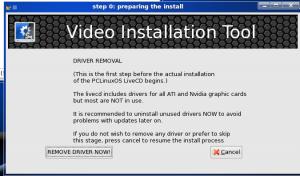 It starts off by asking if you want to get rid of video card drivers you don’t need. I’m not using it for a long time, so I just decide to leave them all in. You can tell from the screenshot, they use Mandriva’s installer. I choose “use free space”. And then I get this neat little screen. 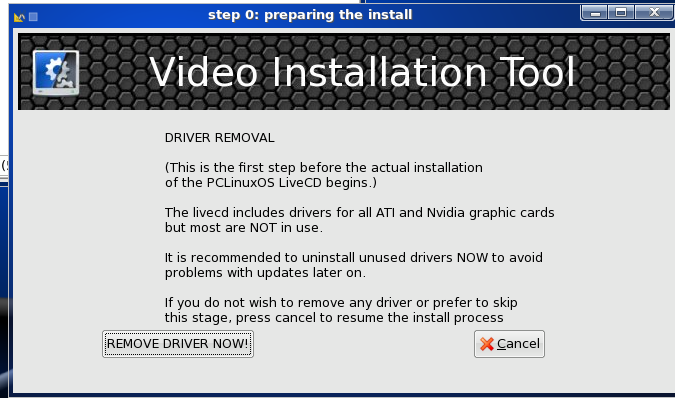 I can’t say I’ve EVER seen a Linux installation that was so easy! Ah, now we return to regular “complex” installation stuff as it asks me about the bootloader. I hit next and finish. And then it was done. So I decide to boot into the distro. 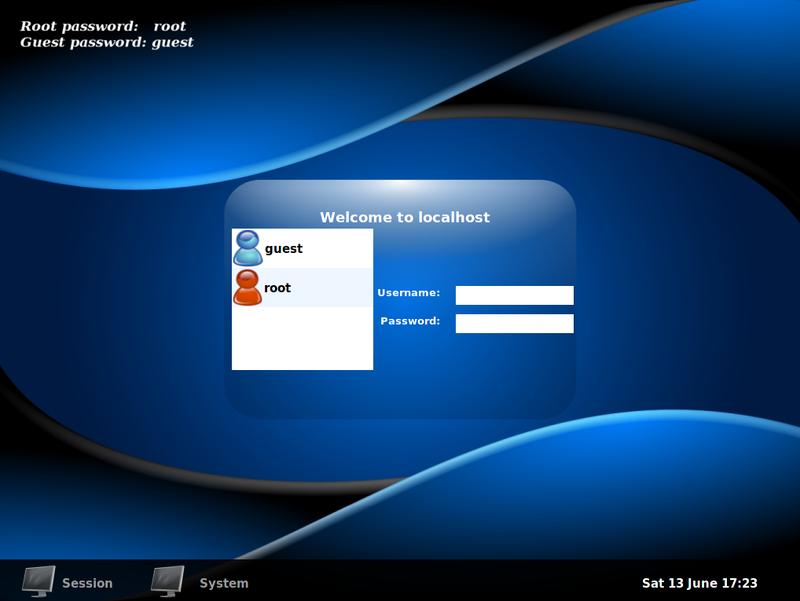 I’m asked to set the rook password and create a user. Then I get to the desktop which looks the same as before. I click on the package manager icon on the task bar. Twas a link to synaptic. This is interesting considering this is an RPM distro. 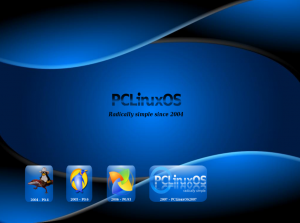 After playing around with the distro for a while I came to the conclusion that PCLinuxOS is making a bit of a comeback. It is a little behind right now, but if the team can get the pace back up, you might start hearing about PCLinuxOS again. I didn’t notice anything that made PCLinuxOS better than Ubuntu or Mint, but it did seem to have a very user friendly aesthetic. Keep it in mind for the future, but right now I don’t see it as a “must install”. For another review, check this out. 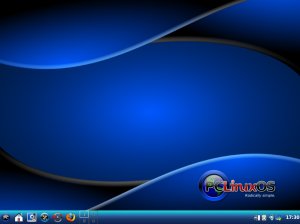 update to 2009.2 and check out the default desktop. much improved! Now, KDE 4.3 or whatever it is at now, IS stable and doing well.. Especially not that Nokia Open Sources completely the GUI Tool kit called Qt. This will only make Qt adoption and therefore KDE 4 apps more available and stable. 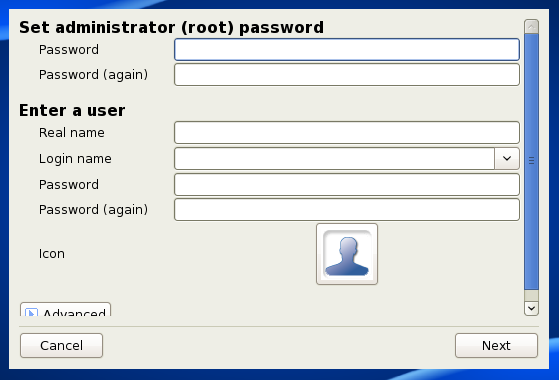 If you want to run a 2007 Distro running KDE 3.5 then just stick to PClinuxOS 2007 for gods sake… so weird to me. KDE 4.3 might be stable but missing a lot. Where is the admin button to change kdm? There isn’t one. 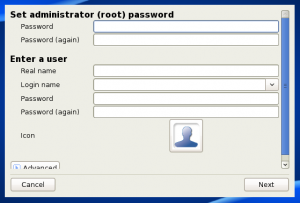 You have to log in as root! Why do I have links on my desktop but when I right click on the menu and select add to desktop it creates a plasmoid instead of making a desktop link in my Desktop folder. Why is it when I resize my desktop icons only the ones that .desktop files in the Desktop folder get resized and the plasmoids stay the same? Where are all the 3rd party apps that many of us want? They are all in beta! kmymoney, digikam, k3b just to name a few. If you want an experimental unfinished desktop then go with KDE 4. You want a stable desktop with stable apps then use KDE 3.